Hello Sweethearts! Finally after so long my first 2017 beauty related video is now up on my Youtube. Remember to click here to subscribe my youtube channel and I will be upload it on weekly basis. I will speak more than my blog ... So, just beware of that! Teehee* I decided to speak in Mandarin mainly because it's my mother tongue and I wish I could speak fluent English too but unfortunately I'm not really good in speaking. But I can speak 'Manglish' actually xD Rojak language in Malaysia. No need to keep waiting for it because I'm ready for it. Although it takes me longer to edit and film it all by myself but I'm willing to learn & share more for you guys. With all your love and support I decided to go out from my comfort zone and hope to hear more from you guys too. Anything you want to know can just drop me a comment on the video below too. 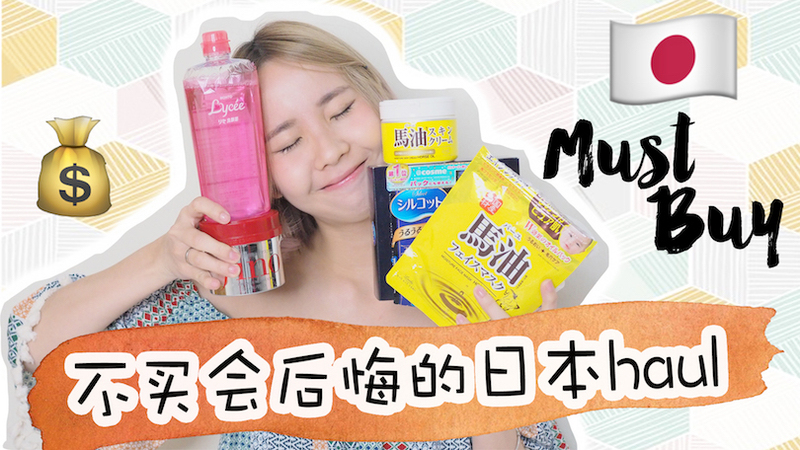 I updated my part#1 JAPAN MUST BUY two years ago (http://www.chanwon.com/2015/12/japan-must-buy.html) and now, here's the video about JAPAN MUST-BUY part #2 ! I know there are some of you wanted to check the complete product list too. This is the reason why I decided to come out with a blog post and list down everything that you might need to know. First it's my all time favourite. Actually all of these items are my favourite since months ago. I remember I introduced all of these before on the ifeel Magazine because that time I collaborate with them for the 'beauty column writer' for 3 months. 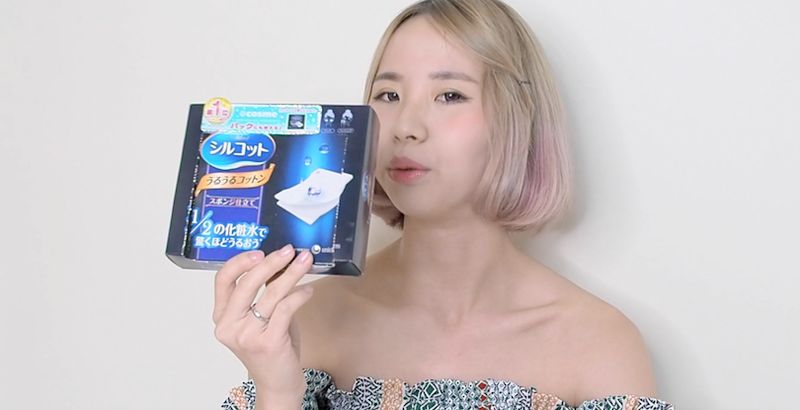 It's quite interesting and most of the item that I recommended in this video are really affordable + you can easily get it in most of the drugstore in Japan. I also spot this fino premium hair mask in Taiwan. It's nice to use and no matter what shampoo you use before this, it will just works the same because once you apply it on your hair for 5 mins, your hair instantly feel smooth and manageable. My hair is the best experiment ever because I always dye my hair and it's quite damage. After using this for twice, the next day my hair was still super smooth and really nice on its shape. Silky and lovely too. Smelly touched my hair and ask did I just go for hair treatment or??? AHAHAHAH So it's one of the SOS product to use. Sometime in hurry I will just wash it away after waited for 3 mins. lol I'm always busy and running out of time lol. One bottle of this can last for half year if you use it once every 3 days. Really big and worth it. Consider with the price of this product, I will give it a 5 stars! Next, it's my favourite facial cotton pads to use on daily basis. During my previous trip with my friends I always recommended them to get this too. It's cheap , nice and really affordable. As usual, WORTH IT!! Just 98 yen per box only (around RM4.50-5). I saw some of you told me that it's selling in Wellness Aeon for RM8.90 -9.00. So feel free to check this out! The good thing about this cotton pad was it's gentle on our skin and the special cut / shape of the cotton pad. It can be separated into two pieces and best to use as a toner mask. Just pour an enough amount of toner on the cotton pads then after apply it all over your face, just go ahead and place the cotton pad on the bottom part of your eyes. Place it like this and it will become a toner mask. Let your skin absorb as much as it can and wahhhh-laaaaa! It's done! Remember the JAPAN MUST BUY blog post that i updated two years ago? I bought the lycée eyedrops and I told you guys to get it for yourself or as a souvenir for your friends, right? Now, they even came out with a new eye wash that really special and nice to use! What so special about it?? The answer is....the soft case!! Yes, you are right! The soft case! This is the best creation ever because normally the eye wash case that we use to pour our eye wash liquid is hard case. Japan always came out with something that really nice to use and to fit our lifestyle & needs. This eye wash liquid soft case can be squeeze and then it will make the liquid to create a circular motion and easily wash away all the dirts in our eyes. It can wash away the mascara dirt , dust and reduce itchiness. I tell you, once you try this, you can throw away others eye wash liquid. This is the greatest creation ever! If you followed me on my instagram for sometime, you might be notice that usually I travel to Japan during spring, autumn and winter season. It's so hot in Malaysia and due to the weather diff each time I back from oversea, my skin experienced serious breakout. My skin become super dry after I apply other cleanser, then my T-zone area become super oily. Slowly I realise the oiliness of my face due to my dehydrated skin. But due to my skin condition was really sensitive and itchy / red that time, I decided not to use any cleanser until one of my Taiwan friends recommended this to me during my Taiwan Trip last year. She recommended this for me and ask me to get it in Japan instead of Taiwan because it's made in Japan one lol. 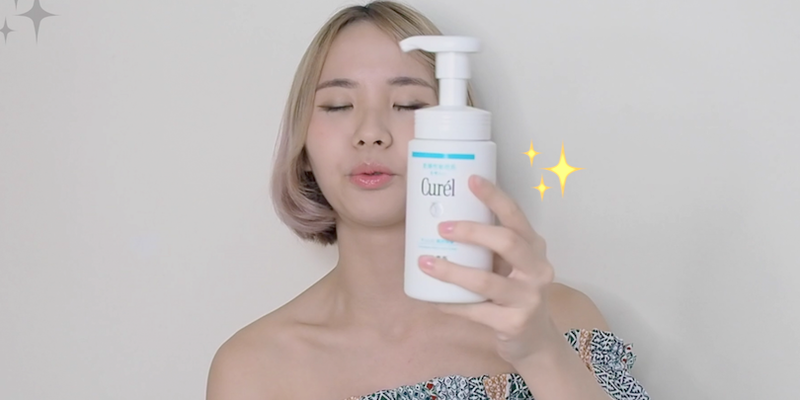 It's a bubble cleanser that specially dedicated for dehydrated + super sensitive skin. It's so famous in Japan but not much people notice this unless you really familiar with Japanese skincare product. For this there are lots of diff range and series. I'm using the intensive moisture care (blue label) series that really works well on my skin. If you want to try this out you can get the travel kit set /travel size that come with a toner, cleanser & cream. It's really good and recommended for those who experience dehydrated and sensitive skin! Other than that for normal day + sunblock product (without apply makeup or any foundation) , I will use the makeup cleansing gel to remove the sunblock or even light foundation can be remove too. It's really gentle and not oily at all. It works like the banila.co but this one can't really remove waterproof mascara. That's why I only use to remove sunblock or light base makeup. I bought the lotion one during my winter trip in Japan. I applied it every morning and night + it's -3 degree during my winter trip. Then surprisingly, my hand and leg never breakout during the whole trip. My friends noticed this and straight away grab 4 bottles back to Malaysia. It's really moisture my skin and they even came out with an intense version one for the skin lotion. After trying out the lotion, I noticed the same packaging (yellow packaging) mask sheet that selling in 7-11 Japan. Then I grabbed 2 pack during my trip last year. After that, whenever I spot this mask in Japan drugstore, I will just grab at least 10 packs! Not just me, my friends that tried this also felt in love with this right away after first try. Remember they came to my room asking whether I have extra mask or not (2 guy and 1 girl). Then I pass this mask for them to try it out and immediately the next day all of us went crazy when spot this in the drugstore. It was really funny but this mask is like a magic. It minimize the pores and moisture your skin right away after 1 use. I usually use one pack per month. It's like a face mask 'course'. Within that week I will use it from Day1-7 but this is for extremely dehydrated skin. For normal use you can use it once a week too. If you always travel to cold weather country like me then please grab this!! It's really nice! That's all for today's sharing. All of these are my favourite and repeat product list that I always restock /re-purchase when I'm going to Japan. It's cheap, nice to use, worth every single cent of your money. I guess you might need to consider getting all of the items that I mentioned in this post on your coming trip too. Hope it's helpful to you. See you on my next post! Love, xoxo.